The Supreme was the first Evolution line Marathon and now in its second generation the new OneStar compound makes it even faster. With the new profile it not only looks good, but also rolls more nimbly than ever before. Maximum comfort and speed are achieved in its Tubeless Easy verison - unbeatable as the very fastest. ConsHard to fit at first. 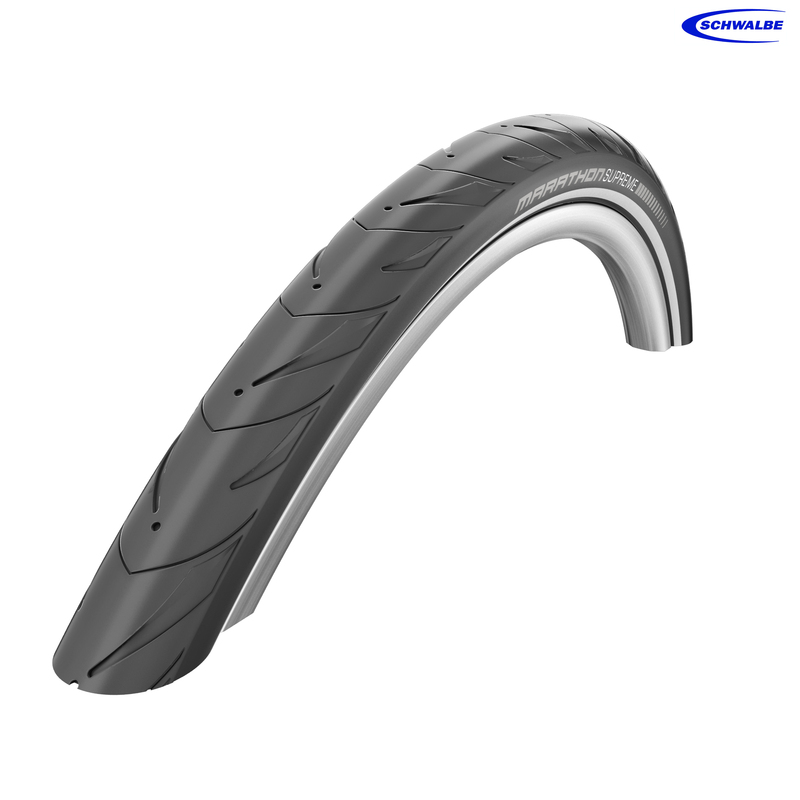 ProsComfortable, excellent road grip, reflective sidewall, can run on low pressures. ProsLightweight, fast rolling and comfortable. Finally managed to get a set for my 29er. They are reported to have a very low rolling resistance and they aren't wrong. Fitting these has completely changed my ride, they are fast running with an ultra grippy feel. Does Schwalbe make a 26" x 1.75 TUBLESS tyre ? Is there are 26 x 1.75 equivalent of this ?